Seriously though, Chia Seeds are a superfood that is worth having for far more reasons than some street cred. These completely tasteless seeds are high in protein and fiber, and contain incredibly high levels of Omega-3 fatty acids, which have been shown to protect function of the heart and other vital organs. Just don’t ask me why when you soak Chia seeds in water they become an almost solid gelatin. I have effing no clue — I SUCKED at chemistry in high school. Take my word for it, they do. Every. Single. Time. Although there are chia seed nutritional supplements, juice drinks, energy bars, and other packaged foods, I vote for simply working them into your home-cooking repertoire. Such as making a chia pudding. Now I know I’ve posted a boatload of recipes for chia pudding already, but I wanted to share this one nonetheless. Because it’s perfect for breakfast, especially if you - like myself - L.U.V. coconut. Chia seeds and coconut milk marry for a vegan, Paleo-friendly pudding that will save you time, fill you up on fibre, and will provide the energy you need to push through the day. Mix together the ingredients the night before, pop it in the fridge, and look forward to a special treat the next day. It's that easy. Whether you're new to the trend or a seasoned vet, you'll love this on-the-go vegan and paleo chia seed pudding. It’s a fabulous way to get your day going! Coconut Chia Seed Pudding Print this recipe! 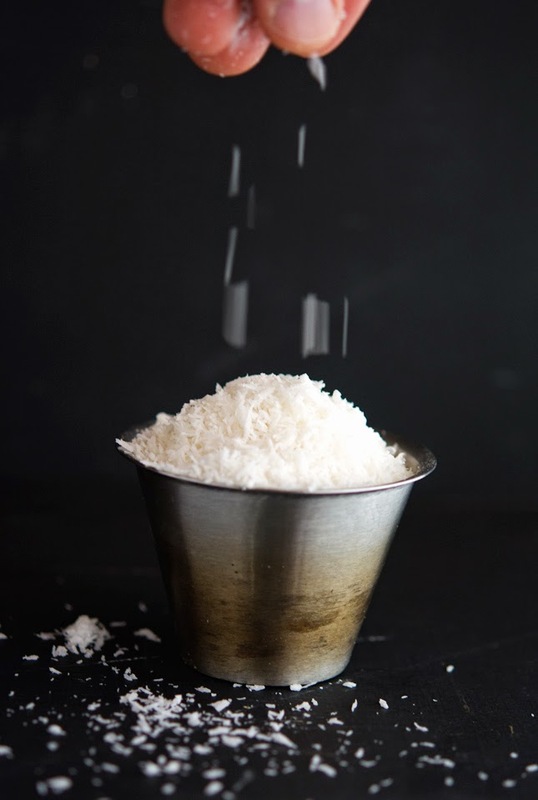 In a small bowl (or a Mason glass jar) combine shredded coconut, chia seeds, coconut milk, coconut water, vanilla, salt and maple syrup (if using). Mix well. 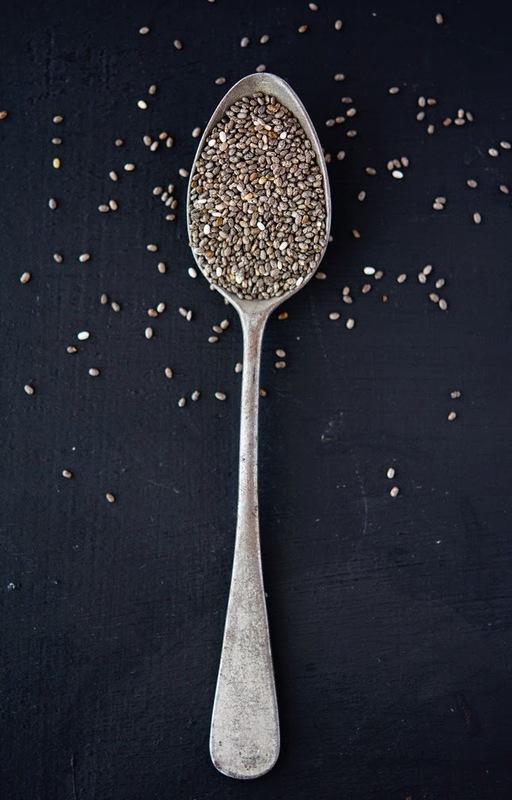 Refrigerate for at least 30 minutes, this allows the chia seeds to thicken. Top with fruit of your choice and serve. One serving yields 360 calories, 28 grams of fat, 27 grams of carbs and 6 grams of protein. That looks fantastic and the pictures are gorgeous! I guess the universe conspires, and I shall follow your lead, Oh Cauliflower Overlord! You should follow my lead Sally, get on board with the chia pudding asap! gave me. gave me. Sorry. Fast fingers, slow brains. Don't you worry Sally, I'm like the typo king. I love chia! It is a great natural thickener in things like this pudding and chia jelly. It's so cool how it works. Chia is also a great source of iron so ladies eat up!! I love everything coconut so I'm sure this is delish :) Thanks for sharing! I love chia pudding so this is my kind if recipe plus it has coconut which I am literally addicted too..win win! 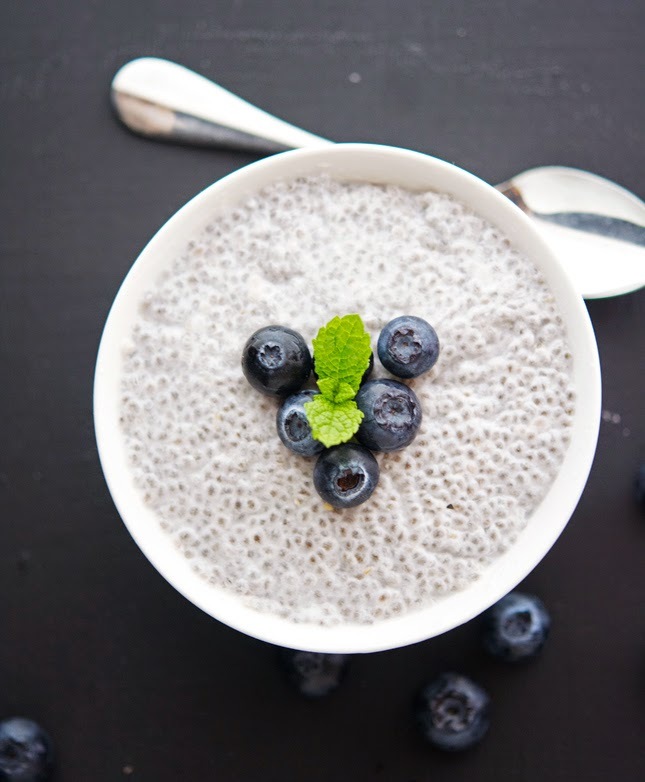 Ahhh, I love a good chia pudding, and I bet it's scrumptious with the coconut milk! It's funny how foods like chia seeds and kale were once used for our aesthetic pleasure and now we pay out our a$$es for them! I know right? I'm still waiting for the prices to drop. Is it ever going to happen? Oh, chia seeds and coconut milk are two of my very favorite ingredients, so I clearly need to give this recipe a go. It looks delicious and your pics are brilliant! Yum! 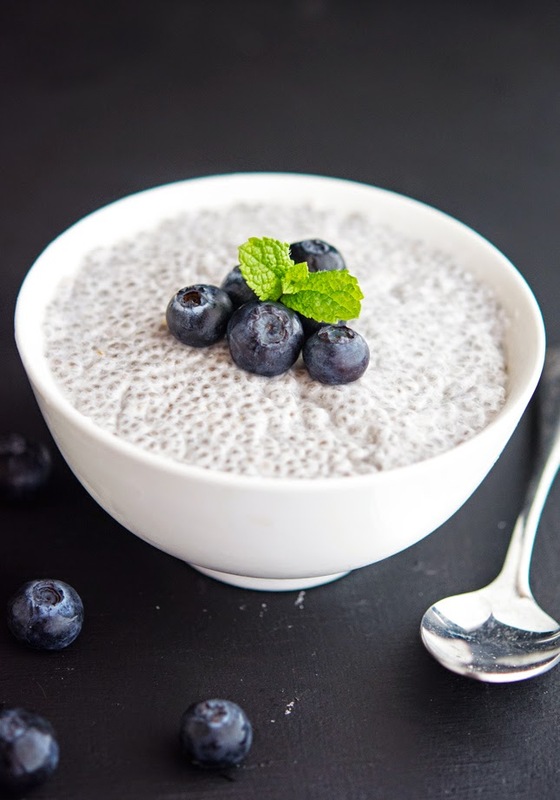 I am so making this, I love chia seeds but still haven't made chia seed pudding yet! You should definitely try chia pudding Laura, it's the best! Hahaha man, your comment cracked me up! You made this chia seed pudding look ultra beautiful! Loving the taste here! I can't believe I still haven't made chia pudding. I guess I am not cool enough, ha ha. Love these photos, especially the one of the spoon. It reminds me of a Jim Dine. Hi Mike, love the addition of coconut, sounds delicious! Dude the chia pudding thing is amazing, total Wolfpack fare! I would not define the texture as slimy...more like awesome. Unfortunately for you the shredded coconut doesn't help with it. Maybe you're not meant to be a chia pudding person! You liked chemistry? For real? I am impressed! I love chai pudding! I'm definitely going to try making this! Thank you for the recipe, I have to try it. I love coconut. This and all your recipes look fab! I'm trying this fo sure! Just found your site which is weird because I've been food and craft blogging for years. You're super funny too! Any chance I could make this using the coconut powder or fat free rather than full fat coconut milk?